Video game pilots drew the short straw. True, its a job only a select few can handle, requiring dexterity, bravery, and uncanny spatial awareness. And they’re the types who enjoy the thrill of facing impossible odds, anyway. However, flying through heavy war zones and mind boggling Bullet Hells in a heap of rickety metal isn’t exactly good for your health. So take your hats off for the pilots of the upcoming Phobos Vector Prime: The First Ring who have their work cut out for them. Gunstar Studio is cooking up a 3rd person space shooter boasting both a single player campaign and competitive multiplayer. 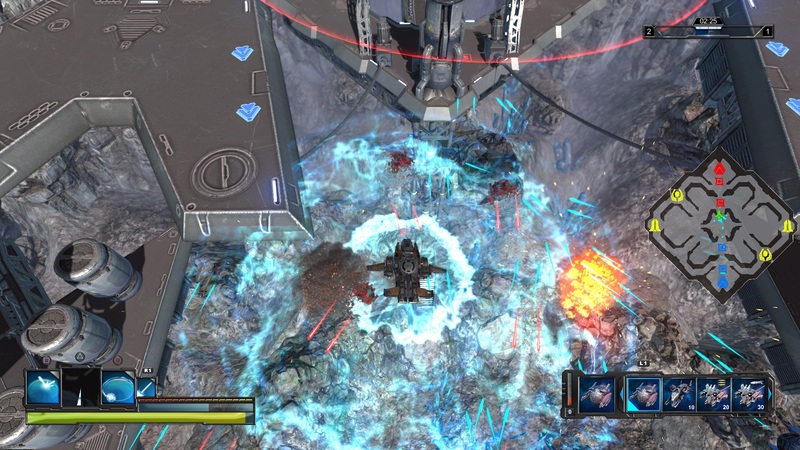 The game has the player shooting down enemies and weaving around waves of bullets and traps. 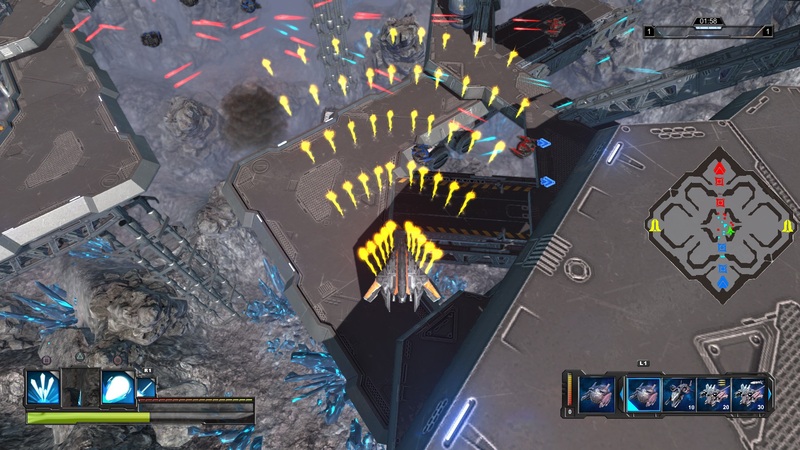 After choosing the desired faction and ship, the tools for eviscerating minions are abundant; ranging from a rain of bullets, to an extended laser, to an area-of-effect shock wave. Add in power-ups and missions will have that old school arcade-y feel, with double the arsenal. The 1984 movie The Last Starfighter, and a ship in it called “Gunstar,” influenced the team and they converted that 80’s and arcade aesthetic over into an intriguing indie shooter. Early impressions suggest that the game will be casual, but still requiring players to be calculated and focused. The color scheme allows every unit and bullet to remain distinct on screen, while maintaining a concise, slick, and polished presentation. The game will reach Kickstarter in November, but right now you can take a gander at it over on Thunderclap.